Elizabeth Campos Fitch. Elizabeth Campos Fitch. Elizabeth Campos Fitch. Her byline graced every article in the Los Angeles Harbor College newspaper, Harbor Tides, in 2014. This was Elizabeth’s second year studying there and third year back in California after living in Torreon, Coahuila, Mexico, for more than 15 years. She moved back to her birthplace in the L.A. suburb of Torrance to sponsor her parents for their green cards. Elizabeth was 17 when she made the solo trip in 2011 and had one year left of high school. But right when she moved, the rules changed. Children needed to be at least 21 years old — not 18 — to sponsor their parents. She laughed at the memory — which probably feels like eons ago for this bilingual reporter, after working at various university publications, hosting a radio show, translating articles and holding multiple internships at NBC. 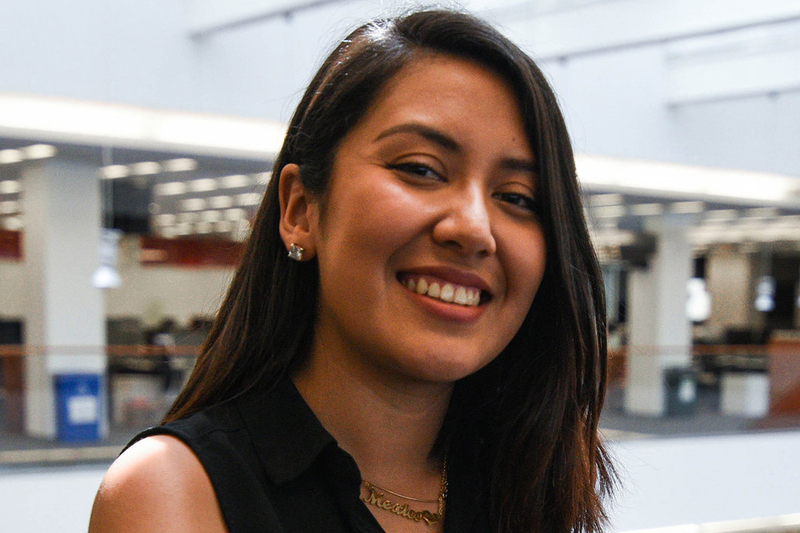 Elizabeth got into journalism after noticing the dissimilar social media posts from her friends and family in Mexico versus her friends and family in the United States. They experienced completely different lives, and Elizabeth wanted to know why.